Born to fanatical religious zealots, deeply wounded by an unloving mother and a weak father whom he hated, Norman Bethune struggled throughout his life to overcome deep emotional scars. Sexually inhibited, given to outbursts of near psychopathic rage, this wounded doctor healed himself through healing others. In the mid-1930s, Bethune emerged as a renowned surgeon fighting the twin plagues of disease and fascism. 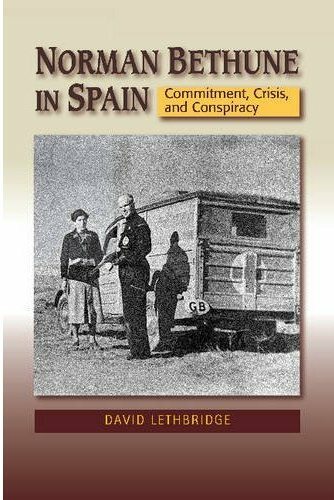 When Franco launched his offensive, Bethune travelled quickly to Madrid, organised a mobile transfusion service and, often under fire, brought blood to the wounded at the front. David Lethbridge presents the complex of Bethune’s unique activities and personality as they intersected with history: His engagement with medical, political, and military civil war players, and the Communist party; his cadaver blood transfusion work with the Nobel Prize-winning geneticist, Hermann Muller; the profound effect that the Malaga atrocity had on him, and the role it played in his attempt to build children’s cities outside war zones; his meeting with Graham Spry a high-ranking functionary in the Canadian social democratic party, the CCF; the unravelling of Bethune’s romantic relationship with the Swedish journalist Kasja Rothman; the implications of his friendship with Henning Sorensen, a possibly secret member of the Communist Party of Canada, and the circumstances of the conspiracy that led to Bethune’s ejection from Spain. 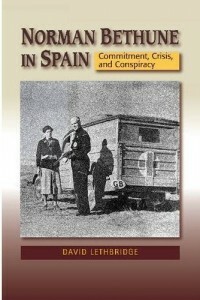 The book concludes with Bethune’s political tour throughout North America raising funds and public awareness on behalf of the Spanish Republic.